My friends and my family lost loved ones last year. I’m thankful for the people I have in my life, and I’m thankful for having known those who are no longer with us. To my readers: Thank you. And thank you for allowing me to have a little fun with my writing style. Hmm, French … well, that does bring up another topic: Not all of the characters in this book actually speak English. However, instead of writing a good chunk of dialogue in ancient languages as LB wanted to, we decided that it would be easier for the reader if we provided the best English equivalent … unless the story necessitated an ancient or foreign word here or there. Sooooo … the other day I was trying to find a spot for lunch, and noticed a fellow who was having a fight with the wind. And when I say “fight,” I mean like a full-on closed-fist, slugging match. He also was throwing a few curses in for good measure. Countless Titans, Demons and Monsters have been thrown into Tartarus—their vile natures condemning them to the dark depths. They are cut off from the Elysian Fields and will never know the endless joy and serenity that the just and goodhearted souls have been rewarded for their endeavors in life. Sure, there are the unjust and depraved souls here too in the Underworld. They endure their punishments on the border between Tartarus and the Realm of Paradise. Even these souls, however, are far enough away from either. The laughter, music and whimsy of Happiness—or, by contrast, the wallowing, terrifying wails and anguish of Damnation—are only heard if the conditions are right. But such souls will seldom hear any noises other than what they themselves make. They are in their own hell, their own self-induced tortures … their selfish natures granting them some relief in the afterlife. But some souls are not granted such mercy. What they have done in life is too terrible, too unforgivable. Too abominable. They are the ones to be feared, to be loathed, and to be held as pariahs for future generations to judge and scorn. While some of these souls are still hidden away—their forms and punishments too unpleasant for those to enjoy a proper Paradise—they are still forced to hear both the torture of the cursed and the laughter of the blissful. He wants to set the world on fire. Kill EVERYTHING in it. Then … despite the Underworld having been sealed away from the rest of the world for millennia … he gets free. At-home DNA testing is supposed to give people insight into their human ancestry, but it’s had the unexpected effect of showing how much of our DNA isn’t human. Now we know that Europeans and Asians have approximately 2 percent Neanderthal DNA, and that proportion may well increase, now that scientists have sequenced the genomes of five new Neanderthal specimens that lived between 39,000 and 47,000 years ago. 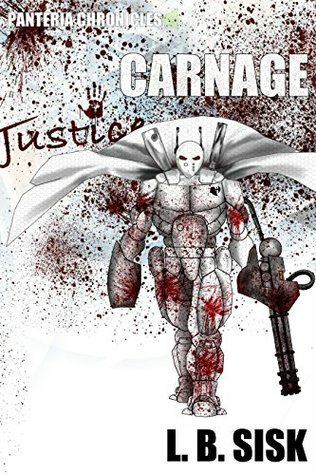 I wanted to thank everyone for participating in the Damned and Carnage giveaways during the last couple months! Thank you for you interest and I hope you enjoy the stories! FYI. In honor of my upcoming book, Ixion, coming out this Spring, I’m offering e-book/Kindle giveaways via Amazon of DAMNED this month and Carnage next month. I’m hoping that you’ll enter to win a copy, and post review if you’d like.